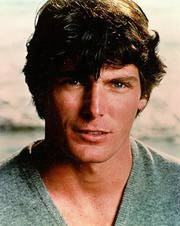 Christopher D'Olier Reeve was an American actor, director, producer, and writer. He established himself early as a Juilliard-trained stage actor before portraying Superman/Kal-El/Clark Kent in four films, from 1978 to 1987. In the 1980s, he starred in several films, including Somewhere in Time (1980), Deathtrap (1982), The Bostonians (1984), and Street Smart (1987). He also starred in many plays, including the Broadway plays Fifth of July (1980 - 1982) and The Marriage of Figaro (1985). In 1987, he led a public rally in support of 77 Chilean actors, directors, and playwrights who had been sentenced to death by the dictator Augusto Pinochet for criticizing his regime in their works. Pinochet canceled the sentence after the ensuing media cove Christopher D'Olier Reeve was an American actor, director, producer, and writer. He established himself early as a Juilliard-trained stage actor before portraying Superman/Kal-El/Clark Kent in four films, from 1978 to 1987. In the 1980s, he starred in several films, including Somewhere in Time (1980), Deathtrap (1982), The Bostonians (1984), and Street Smart (1987). He also starred in many plays, including the Broadway plays Fifth of July (1980 - 1982) and The Marriage of Figaro (1985). In 1987, he led a public rally in support of 77 Chilean actors, directors, and playwrights who had been sentenced to death by the dictator Augusto Pinochet for criticizing his regime in their works. Pinochet canceled the sentence after the ensuing media coverage, and Reeve was awarded with three national distinctions from Chile for his actions. In the 1990s, Reeve acted in such films as Noises Off (1992), The Remains of the Day (1993), and Village of the Damned (1995).